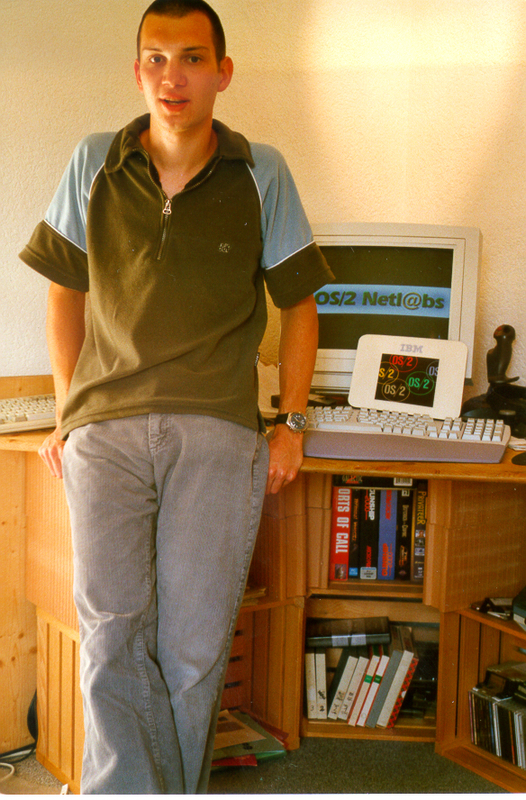 On September 6th 1997 I registered the domain netlabs.org so it is officially the 20iest anniversary of netlabs.org! I was quite sure I did write a few words 10 years ago and indeed I did, see my old post in this blog. I have a nice history in there about how and why I started netlabs.org so if you are curious about that then just go ahead and read this post, I will wait here! Unfortunately the screenshots of the old website are gone, have to see if I still keep them somewhere. 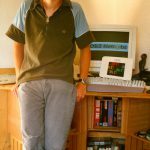 Archive.org has some links as well but lacks the images, see for example the first snapshot in 1998. I will try to assemble a few pictures and stories about netlabs.org for a session I do at Warpstock 2017. Unfortunately I can’t attend so I will only do a retrospective via Skype. I also plan to publish the slides and pictures I create to the public so you can enjoy a selection of old pictures from various events I participated at. I’m very happy that after 20 years, netlabs.org and the legacy of OS/2 is still a thing. Sure, the really active times are over but I wouldn’t have thought for a second that the site would be still up in 20 years from when I started it. It was barely an idea back then and open source software didn’t play an important role anywhere yet, let alone on IBMs OS/2. The world was proprietary and so was our beloved operating system. netlabs.org worked because we were young and naive and we thought nothing could stop us. That actually worked remarkably well for quite a while and looking back at these 20 years I have to say that I really enjoyed the journey, especially the earlier (and more active) years. I met so many great and remarkable people, many of them became friends, even though I have to admit that except Bart and Robert I don’t see most of you anymore on a regular base, if at all. When we started netlabs.org there were no platforms like Sourceforge or Github. We started with a simple webserver, some http & ftp space and later with a heroic CVS server and client on OS/2, maintained by Christian Langanke. We were always a relatively small community with a focus on Europe, at least for the more active part. Looking back I think that was part of our success. It was relatively easy to travel and meet each other one, two or three times a year. I was a student back then and didn’t had much money but I always figured out some way to visit Warpstock Europe, organize the OS/2 Developer Workshop with Robert Henschel and go snowboarding in the Swiss or French alps with Bart, Knut, Christian, Chris, Sander, Fonz and some other friends from the scene. Warpstock Europe was probably the most important event for netlabs.org, I don’t think we would have managed to keep the core contributors active that long without it. It was always a special privilege to meet Daniela, Ulrich, Sander, Knut, Achim, Yuri and all the other great and smart programmers and interact with users that were very happy and grateful for the work we all did. I’m also happy to see that many users are still active, lead by Roderick and many others around the VOICE organization. Warpstock USA was unfortunately an event I only visited once in Philadelphia, I think it was in 2000. I remember that we drove there with Ulrich Möller by car from Manhattan. We had the (in retrospect) incredibly stupid idea to meet in front of grand central station, back in the days where mobile phones were a) expensive and b) European GSM models not working in the US. But it was great fun and I still remember many details of that road trip (will have to dig out some old pictures for the presentation)! Around 10 years ago we started pushing the Voyager project, see some old posts in the blog and a presentation I did at the first netlabs.org developers workshop in Dresden in 2005. Looking back I have to admit that we were both incredibly smart in analyzing what was wrong and incredibly naive in thinking that our tiny active community could fix this. Some parts that were presented one year later in Biel went into the direction of what we now have on Linux with Wayland. Just that they started around 3 years later and it took them years to get it on a level where it got integrated on Linux distributions. And surely enough we had some additional ambitious goals at the same time, as you can see in the presentation. Including rewriting WPS from scratch on a new architecture. Anyway let the past be the past. I’m glad that we have projects like Arca Noae and ArcaOS, many great long-time netlabs.org contributors and programmers are working and/or contributing to it and they still actively support me with my work for netlabs.org, thanks Lewis and Team! I have to replace the netlabs.org hardware from time to time to make sure services are running properly. In fact I will have to replace the by now 5 year old box again so I need to find 2’500€ for new hardware. If you feel like giving a gift, consider buying some sponsoring units or contact me directly. I can assure you that 100% of that money will go into new hardware! By the way the server was and is hosted at n@work in Hamburg, Germany. Their team is also incredible generous and friendly, thanks Rudiger & team! I would also be interested to know how netlabs.org can help and should look like for the coming years. I have some ideas around creating a new platform for managing the community. It should be better than forum software, as nice as newsgroups were back then but more modern and easy to use on mobile devices as well. Github and related platforms do a great job for programmers but I think there is still something missing for managing contributors which do not or cannot contribute code. And in my opinion we did hit that sweet spot with netlabs.org for a while so I wonder how to repeat that today. Again, if you have ideas, let me know or comment on this post! Last but not least thanks to everyone I did not mention by name, I’ve met so many great people in the past years I cannot list you all. If you have a nice netlabs.org related story on your own, let me know! Last but not least I want to mention one of the most active users, it was and is Jan van der Heide. He still writes 99.9% of all posts in this blog, only because of his bi-weekly work you get regular condensed updates about what is going on in the SVN/TRAC repositories at netlabs.org, thanks a lot Jan! There are quite some things going on these days, and after some discussions we had on the netlabs.org community mailinglist I think it’s time to give some more insight about what is happening behind the scenes. This is gonna be a long posting, so let us start. In the past weeks I had some discussions on the #netlabs IRC channel (Freenode network) with Silvan Scherrer about Qt 4.x.Â The 3.x port is outdated so we decided it would be nice to port the lastest version. Fortunately, the porter of the 3.x version (Dmitry) has some free time right now and can thus start porting it, once we can pay him a salary. Although things are going well, we still need a lot of money, but I’m confident that we will succeed. If you want to support the Qt4.x project, check the posting Silvan did for details and the web page of the project for a status of the fundraising. Expensive things like hardware were always collected separately with sponsoring units at Mensys. Since I switched to a new machine about 2 years ago, I didn’t need any more money. All new services I’ve set up (XMPP/Jabber, Voice over IP) are running on hardware I got for free. I never had to pay any money for bandwidth. This is for years kindly donated by n@work from Hamburg, Germany. Which is a good occasion to thank them a lot for their ongoing support! n@work is an excellent hoster and provides marvelous services and performance. This was arranged by Arne Blankerts years ago and it is still running well. For some time I hired programmers like Vladest. Part of that money was payed with sponsoring units but it was never enough to pay his full salary back then. The missing money was payed by myself, with my savings (bye bye own apartment). I was also traveling a lot around the world for netlabs.org. In total I invested more than 20’000 Euro into that adventure the past years. I do accounting for my private accounts so I could prove that in case anyone doubts that :) Note that, for a long time, I was a student, so it’s not that I have piles of money on my accounts. In short: The money I get from the normal sponsoring units is used for my netlabs.org activitiesÂ like traveling around. There is probably less than 3000 Euro on that account right now. Again, if anyone wants to know details I can provide them. In the posting I also mentioned what’s going on with The Voyager Project and this generated some more questions. So let us look at where we are right now and where netlabs.org will go in the future. A few years ago I started asking myself what I wanted to do with netlabs.org. It is obvious for me that the OS/2 and eCS history will come to an end. We still invest hours of coding into stuff that doesn’t bring us any additional value but just makes it possible to run the system on recent hardware. Some years ago, I already proposed that we should rather go into a direction where eCS would run on virtualized hardware and that we invest our energy and money into something new. Unfortunately this never happened and I see more and more of the big contributors at netlabs.org switching to other systems, including myself. As some of you might know, Daniela Engert also decided to stop development of her famous DANIS506 driver. In 2005 Bart van Leeuwen and myself decided to launch a new project, which soon became known as The Voyager Project. We started thinking about what we would have to do to get the OS/2 experience on a new platform. Our conclusion, back then, was that we take an existing kernel, some userland code, an interface and put a WPS like desktop on top of that, which we would develop from scratch. While presenting this idea to the public I started to get feedback by people I respect a lot, most of the time the feedback was not too enthusiastic. Many of my good friends asked me why we want to do stuff that is based on assumptions which are more than 20 years old (think of keyboard and mouse for example). Based on that feedback we started questioning our ideas as well and I soon realized that I use my computer way different than I used it 10 years ago. Today more and more of my computing is done on mobile devicesÂ and my data is stored at various places, which isÂ not my local computer (MP3 player, subversion repository, file servers at work and so on).Â So why should we invest time into a desktop concept that still assumes that we work like this in the future? I want access to my data every time from everywhere in a form that makes sense for the device I am using (laptop, mobile phone, TV box at home…). So I don’t want to use a web interface for that, as a web interface is a very primitive way to interact with data when you are used to the OS/2 Workplace Shell. So this is what our project is about: Access information in its most perfect representation on any device. Our work will provide a small layer of software that can be run on your laptop, your mobile device and maybe also on your TV at home. This software will use a lot of technologies that were developed the past years by people around Tim Berners-Lee and the Semantic Web.Â This is a very ambitious project which has to solve some fundamental problems and we are not sure if we will succeed with it. But we reflected this idea to many people, the past months, and the feedback is excellent, which is our motivation to seriously work on this project. The rest of the time I will work (again at least 100% :) ) for netlabs.org. We write a lot of concepts about what we do and we plan to get some serious research money for our project. Our core-team consists of 7 members at the time of writing and we plan to hire most of us at least part time for a period of at least two years to implement our technology. If you are curious about an amount, we will start doing that when we have at least 1 million Euro, more would be better. This is a lot of money, but I’m more than convinced about our ideas and I think we will be successful with this project. If you have any more ideas about where to get that money, let me know as well :) (We know about the EU FP7 project for example). The software and the standards we will come up with during our implementation will be released as open source software. The code will be owned by a foundation (most probably), not by an individual company. We (netlabs.org) will provide services, consulting and technologies needed to make some serious money on top of this concept. 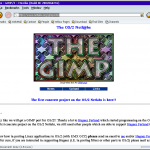 The OS/2 and eCS projects will stay at netlabs.org. I will do my very best to support any existing and new project and we will continue to do so in the future. The web pages will be greatly enhanced for our new project and thus also for the existing projects. Some of you might now be disappointed because this does not resemble the original Voyager Project anymore. This is true, but I think that what we are working on might have a much bigger impact on the industry than anything else we wanted to do. It will also be possible to use our work as a base for a WPS like desktop, on whatever platform we might want to implement it on. If anyone wants to work on that, I’m ready to support it! If you want to know more about the Voyager project, we welcome you to join our next netlabs.org Developers Workshop in Switzerland (June 6/7 2009). We will present the work we did the past months and we will talk about the concepts and challenges we have to solve. We look forward to present our ideas to a bigger audience. So far we did the conceptual work within a small group, because we wanted to achieve results, not endless discussions :) There are also event pages at LinkedIn and XING, on which you are welcome to join. I hope this gives some more information about what we are up to. If you have any questions, remarks or ideas, just let me know. Especially when it is about our new ideas! You can reach me by mail or Jabber/XMPP at ktk@netlabs.org. I did a presentation about Google at Warpstock Europe 2008. What I showed there is a short version of what I teach in my classes as well during a security course at my University, and I also had to present all the documents necessary for this in PDF, luckily I could edit them with a software from sodapdf.com/pdf-editor/ which works great for this. First part was about enhanced Google hacking, which is mainly about advanced search operators and some creative googling, second part was about security awareness. Due to the limited amount of time available I could not show many details, but I promised to put all the links online. If you could not take part of the presentation, you might checkout the links in here. You can search much more effective on Google using so called advanced search operators. Google has a nice page about them where they explain what they do and how you can use them. You might check that page first to get an idea of what I am talking about. Note that by default Google searches for all keywords you provide (like an AND operator), if you want to exclude some keywords, you can specify that as well using the – operator. Example: netlabs -OS/2 would search for everything related to netlabs but not related to OS/2. As a last tip here, you might want to have a look at Goolag, which is a (so far Windows only) application that does this kind of searches automated. Unfortunately it looks like they lost their domain (goolag.org), it is at a domain parker now… will update that in case it gets back online again. The second part of the presentation was about privacy. I could spend hours explaining my concerns with that so I just would like to give you a very short view on my thoughts. If you can read German, I recommend to have a look at the Google special from the Swiss Wochenzeitung (WOZ) weekly newspaper. This is a great introduction to this topic and shows the issues I have with Google very well. So that’s in the direction of 20… now imagine what kind of tracking you get when you combine all those databases/logfiles together. Never forget that Google earns about 99% with advertisements. The more they know about you, the more they can give you exactly that kind of advertisement which fits for you. AdBlock Plus – the best privacy tool in my humble opinion. It does not just block annoying advertisements, it also makes sure you do not get tracked like this. Don’t forget to add a *google-analytics.com/* URL in there as well, this should at least partially block another tracking from Google. You can subscribe to some lists which are updated on a regular base and you can add your own URLs as you need. TrackMeNot – This plugins will simply send random queries to search engines. Sounds weird but this is actually a pretty smart idea to screw them their databases. In my opinion this is one of the few possibilities we have to screw their business in the future: noise and obfuscation. Tor and Privoxy – this combination is probably the best you can get in terms of privacy. Tor will give you a completely randomized IP and Privoxy will make sure your browser does not betray you with some cookies or other things you might have forgotten. Please check both projects to learn about how they work. Unfortunately the Tor network is far away from being fast so right now I just use that if I have a good reason to do so. That’s about it with tools, if I forgot something, please add a comment to this article. If you run your own web pages and/or blogs you might consider providing a robots.txt file which forbids to cache your site. In case you have to take some content offline, there is a better chance that it is really offline afterwards like this. Most search engines do pay attention to the robots.txt file, as they get sued if they don’t. Ask Google if you want to know more about that file. As a last tip, if you want to have your information as the first hit, provide that information on your own. That works pretty good for me and most people are too lazy to check the links which do not show up on top. netlabs.org is 10 years old! According to the whois record it is exactly 10 years ago that I registered the domain netlabs.org. 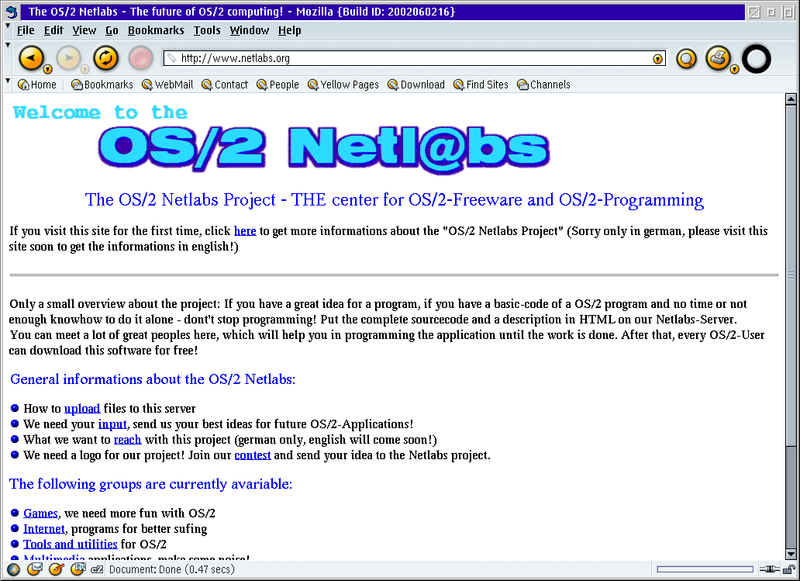 I can’t remember how long it took to put the first web-page online but the birth of netlabs.org was on that day in 1997. My cousin Andreas Trottmann introduced me to the concept of open source software and Linux a few weeks earlier and his boss, Henning Timcke, encouraged me to start such a project for OS/2 and provided the first hosting for free. This was just a few days after my twentieth birthday and my goal was to provide free software for OS/2, I absolutely wanted to support my beloved OS/2 platform. I started working at IBM back then and it was also the time when Internet connections became affordable, so I gave it a try. 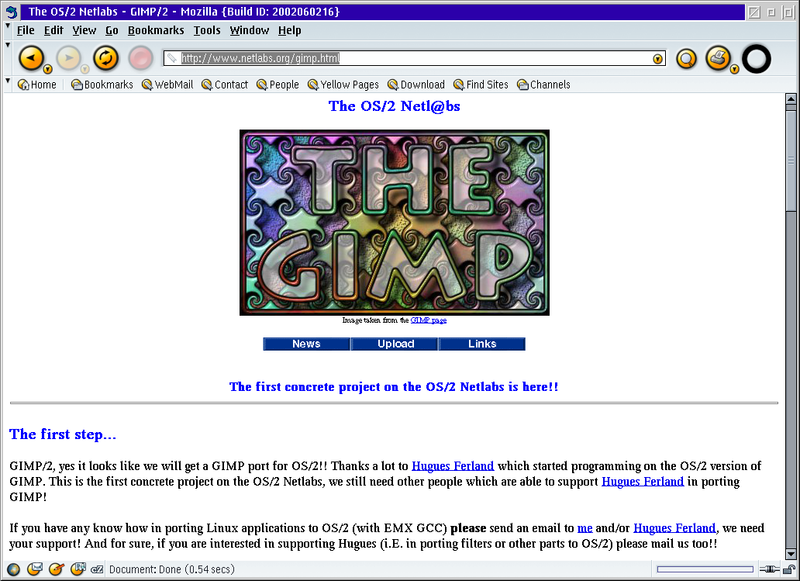 At first there was not much stuff going on, one of the first projects was to port GIMP to OS/2. Unfortunately the port vanished one day and never popped up again. But we were motivated and we got a lot of positive feedback, so we pushed the project further. New projects started; such as porting the newly available source-code of Mozilla to OS/2, working on Odin, Everblue, porting MSQL and later MySQL and so on. Some of the projects worked out, others didn’t, but we realized that we could indeed do something for our platform. I think that netlabs.org definitely had a positive impact on OS/2 and its community. I’ve met a lot of great people within that time and the best thing is that many of them are still my friends today, even if some of them don’t work on OS/2 anymore. Now 10 years later we are still here and we still release software. Some things didn’t change, I’m still too busy and updates on the netlabs.org webpage takes ages but at least we manage projects pretty well now, from a coder point of view at least. Three years ago I came up with the idea of The Voyager Project to succeed OS/2, at least the parts of what we love about OS/2: The Workplace Shell. After talking to a lot of students, friends, and programmers I really think that this project is worth the effort and it can make a difference in the IT market. However, it is also pretty clear to me that netlabs.org has to become more professional and we have to hire people to finish that project in a reasonable time. My dream is that we can create some kind of Mozilla Foundation out of netlabs.org in a not too distant future or any other model that makes it possible to gather a lot of money to hire a lot of our great coders :-) Send me a cheque today and I will hire tomorrow! Well, there is still a lot to do and it looks like I can finally focus on netlabs.org in October due to some changes at work. I’m looking forward to finish the current CMS with Arne Blankerts so the project pages get attractive for users as well again. When I’m ready with that I want to announce The Voyager Project to the public and attract new coders, that’s what we need for the next 10 successful years of netlabs.org! I also would like to thank everyone of you that supported me in any form the past 10 years. The reason why I still do this is the community. Even though I use many other systems nowadays as well, nothing compares to the concepts of OS/2 and the people using it! I couldn’t find my first announcement of netlabs.org, I think I just sent that out as email back then. If anyone still has that, please let me know.